It’s easy to think that multitasking is a great idea. If you listen to a podcast while making supper, you can get two things done simultaneously, and save time, right? Who wouldn’t want to do that? As it turns out, it’s probably a bad idea for everyone. I’m not a neuroscientist, but recent research seems to have shown that multitasking is not even a thing. 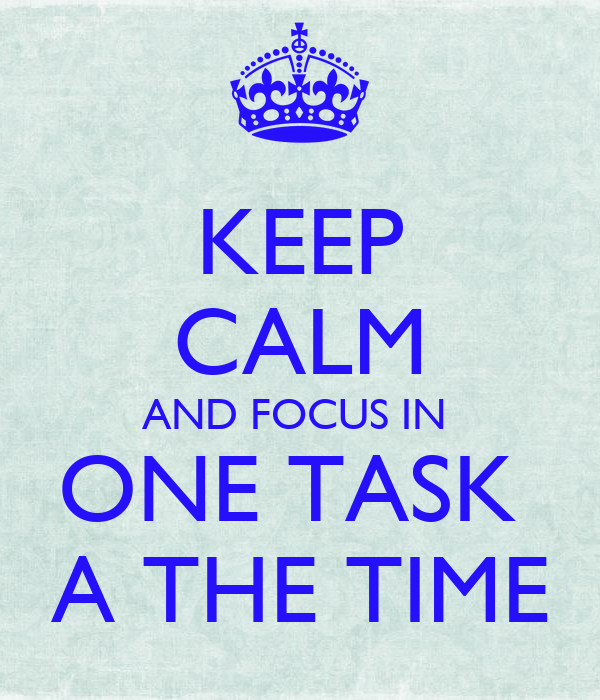 Our brains are apparently incapable of focusing on 2 tasks at once. So when you’re watching T. V., tweetering, and reading a book, all three of them will suffer. 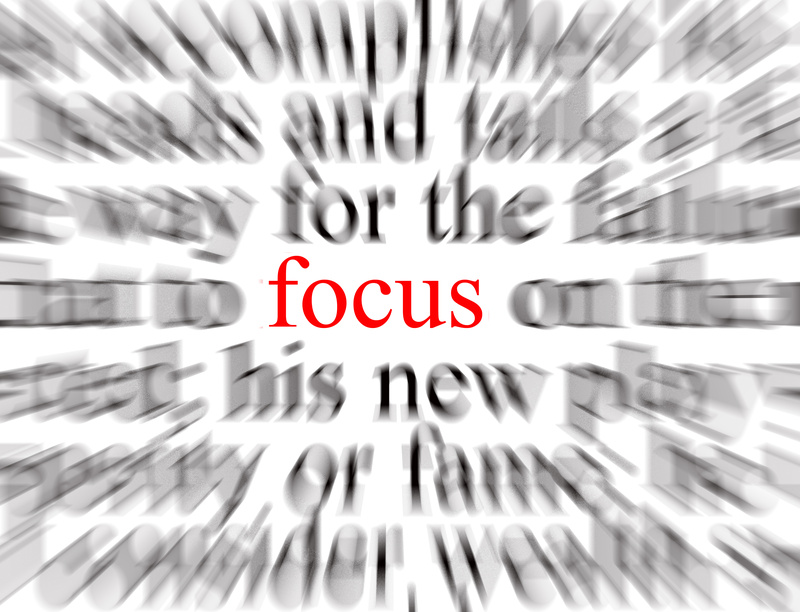 Basically, you end up doing each task less efficiently because your focus gets phenomenally diluted. If I understand the science, when you’re doing 2 or more things at once, your brain focuses on whichever task draws your immediate attention. It’s kind of like you adapt to the mindset of only one, as in, “All right; tweetering time.” Your brain mostly ignores the T.V. show and book when you’re looking at your phone, and devotes the majority of your focus to the tweetering. When you read the book, you don’t pay much attention to your phone and the T. V. Then when you look at the T. V., you primarily stop thinking about the book and tweetering. However, since you have three things going on simultaneously, you can’t completely ignore all of them. So when you’re tweetering, you’re doing it significantly slower than you would otherwise. That’s because you can’t help but hear the T.V., and think about fragments of the single paragraph you just read before switching tasks. You read the book much less quickly than you are capable of too, for the same reason; distractions. 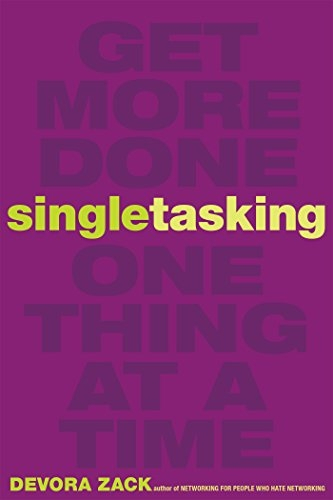 Not only do you complete all three tasks more slowly; you do them less efficiently. This makes you sloppy and unproductive. Efficiency requires focus. 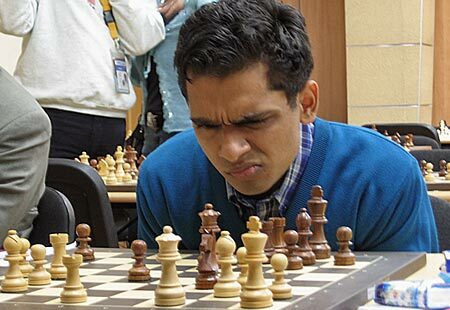 The deeper into concentration you go, the more productive you can be. This is because you forget distractions, which makes your thinking more fluid. Think about it. If you tweeter, then read a paragraph, then watch 2 minutes of a show, you won’t fully grasp any of them. It’s a reinforced negative effect because you’re sloppy, and can’t help being distracted. 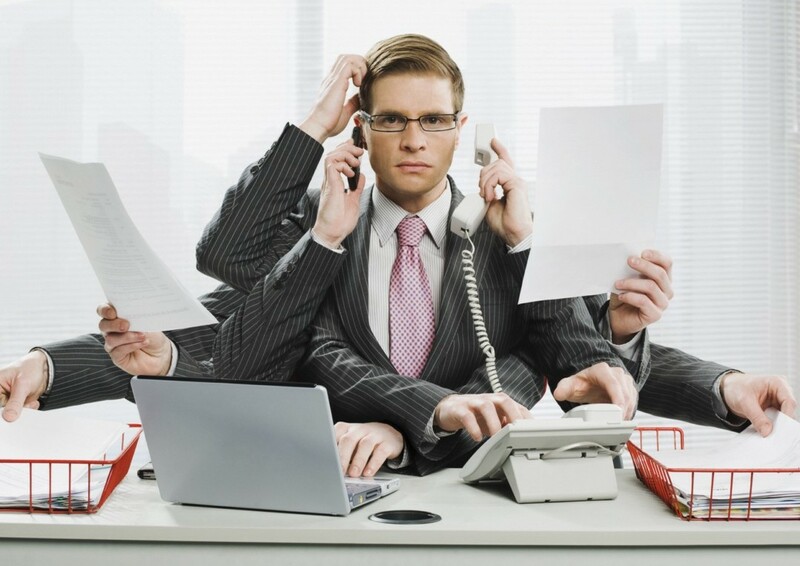 The result of multitasking is the opposite of what we desire. We do things more slowly, with poorer quality. It’ll take you three times as long to tweeter, you’ll re-read the same sentences of the book over and over, and you’ll miss aspects of the show. Other than these consequences, recent Stanford studies found that multitasking reduces grey matter in your brain. I learned this from a fascinating book called Singletasking. I love that term, and I’ve started using it all the time. Singletasking seems to be a waaay better strategy than multitasking. Other studies in the U. K. found that multitasking can damage the anterior cingulate cortex in your brain. More research needs to be done to determine whether the harm to these brain components is temporary or permanent. There is debate among scientists about it, even though more recent studies have apparently shown that the damage is irreversible. You might be thinking, “What the hell are grey matter and the anterior cingulate cortex?” Great question. Like I said, I’m not a neuroscientist, but this is my amateur understanding: Grey matter and white matter compose the central nervous system. They are made of different ingredients and have separate functions. No brain region does things completely independently of others, and they all contribute to every task. 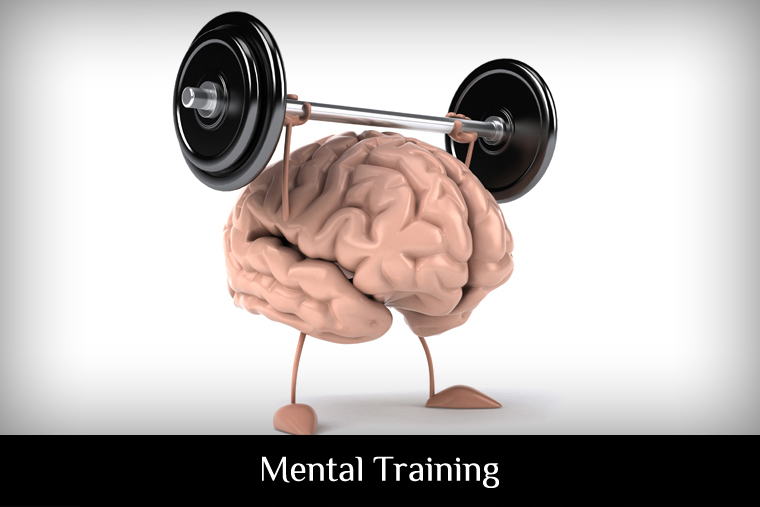 But grey matter aids in processes like making decisions, sensory perception, emotions, memory, controlling our muscles and impulses, and talking. 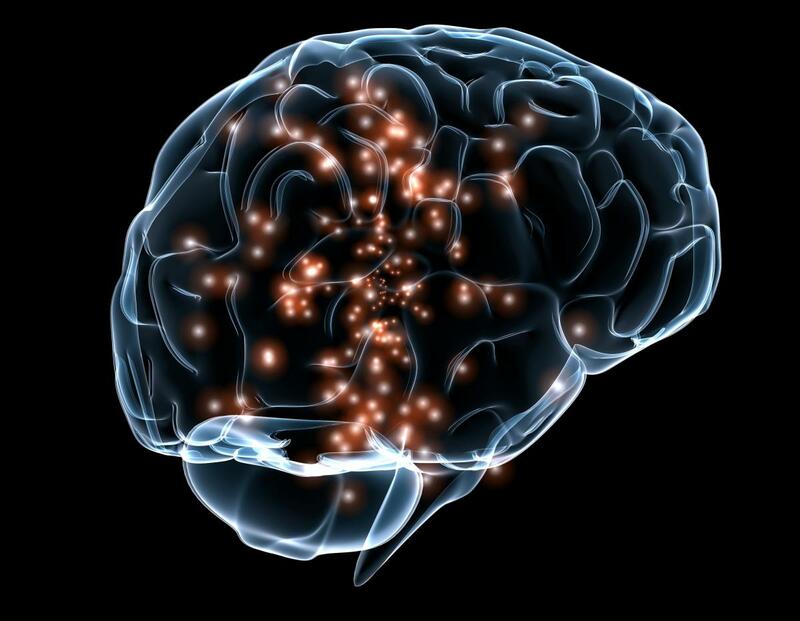 The anterior cingulate cortex helps us regulate our emotions and thoughts, and gives us empathy. Basically, all of these functions are hindered by multitasking. 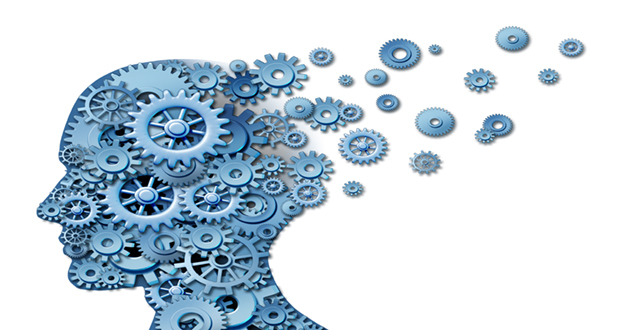 This is because these cognitive components get damaged, and may even shrink. Maybe future science will prove these conclusions to be false. But for now, it seems like this common practice is a terrible idea. I don’t know about you, but for me, it’s such easy behaviour to slip into that it’s almost like an addiction. I have to ruthlessly train myself to do one thing at a time. People should of course multitask if they want to. But if you desire improving your brain, being more productive, doing better quality work, and enjoying life, you need focus. So don’t tweeter, read a book, and watch T. V. simultaneously. Do one thing at a time. Don’t multitask. Singletask!